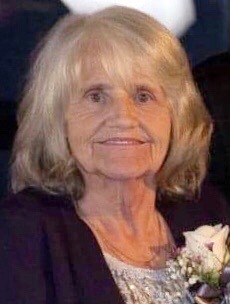 Sally R. Lewis, age 72, of Huntington, passed away Thursday, November 29, 2018, at 9:50 am at her home. She worked at Majestic, retiring in 2004. She attended Emmanuel Community Church and Union Church. Sally was born April 25, 1946, in Connellsville, PA, the daughter of Samuel W and Imogene (Lohr) Brindle. She is survived by the love of her life Michael Yarger of Huntington, 4 daughters Mary Anne (Kirt) Caudill of Marion, Debbie (Randy) Yarger of Andrews, Julie (Jeff) Wade of Stuart, FL, and Marlena (Taiwo) Adeleye of Lansing, MI, 2 sons A. Shane Lewis of Markle and Josh Lewis of Huntington, 15 grandchildren, 10 great-grandchildren, and a sister Joan Jennings of TN. She was preceded in death by a sister Dorothy Daily and a brother Robert Mason. Visitation will be held Tuesday, December 4, from 4-8 pm in Deal-Rice Funeral Home- Huntington Chapel, and Wednesday, December 5, from 10-11 am preceding the 11:00 am funeral service at the funeral home. Rev. Bob Bruce, of Emmanuel Community Church, will officiate. Burial will follow in Gardens of Memory. Preferred memorials are to Huntington Humane Society or Helping Paws c/o Deal-Rice Funeral Home, 338 E. Washington St., Huntington, IN 46750.